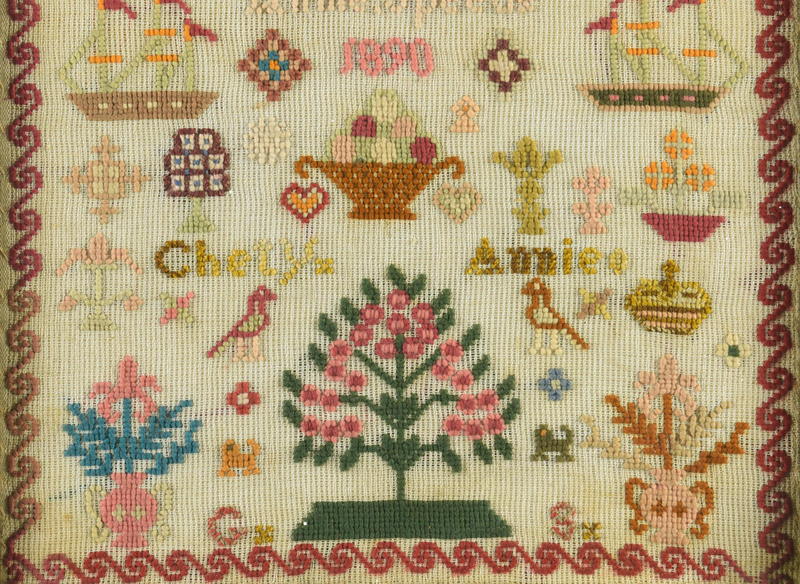 1st item: English pictorial needlework sampler, silk on linen, dated 1789. 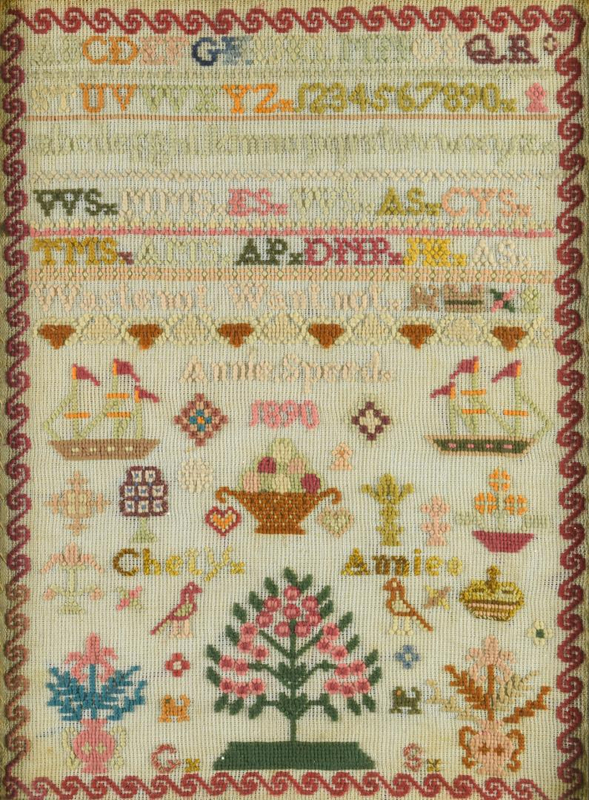 Features 3 alphabets and rows of numbers of graduating size, divided by 2 bands in varying kinds of stitches above floral swags, crowns, lions, cherubs, and initials, surrounded by a decorative floral border. Linen pinned to paper backing. Housed in a wooden frame. 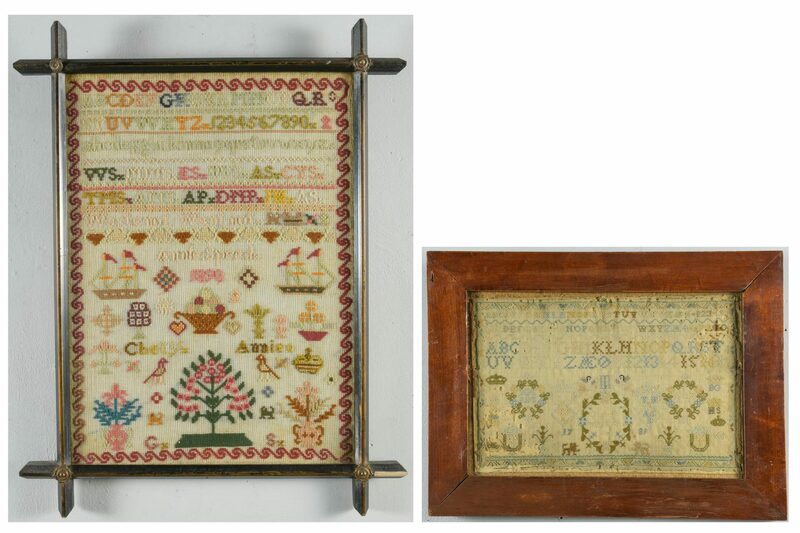 Sampler – 8" H x 12 1/4" W. Framed – 12 3/8" H x 16 1/2" W. Late 18th century. 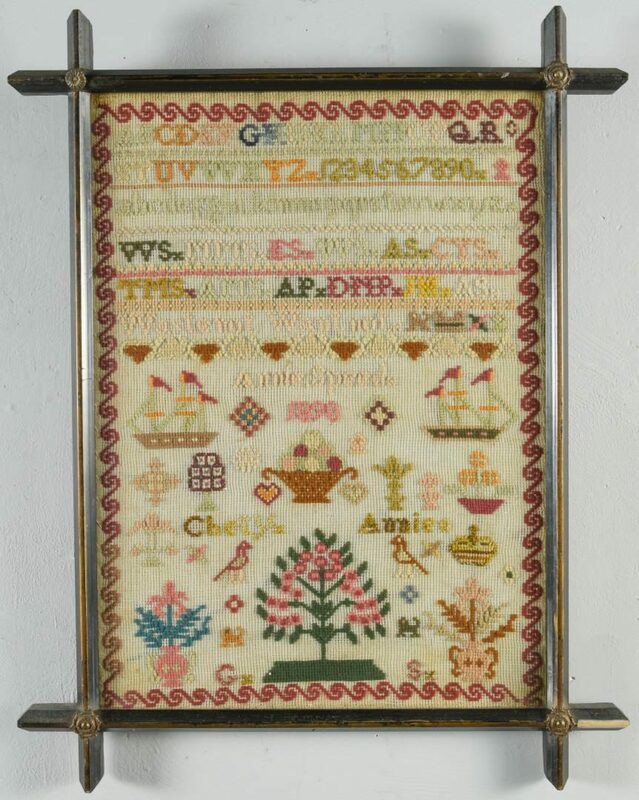 2nd item: English needlwork sampler, wool on linen, signed Annie Speed and dated 1890. 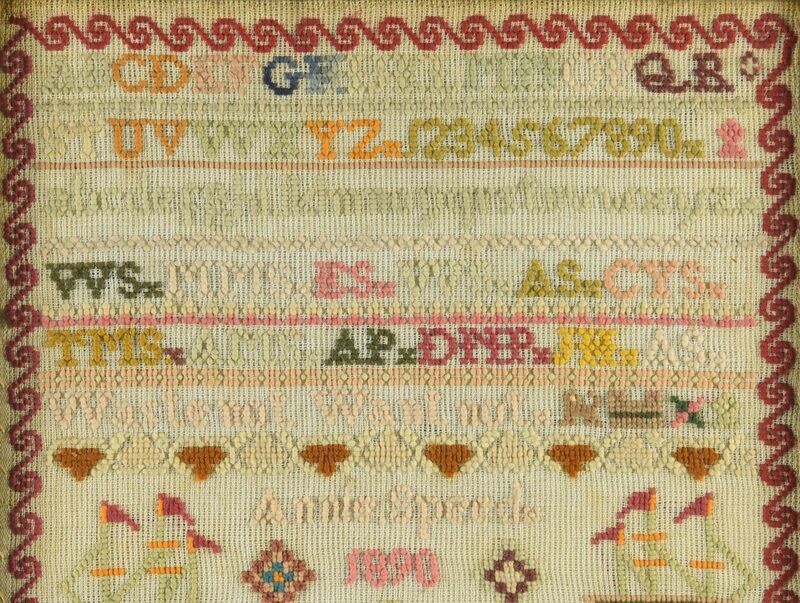 Features 2 alphabets and rows of graduated numbers and 2 rows of initals, divided by geometric borders in various stitches, over the verse, "Waste not. Want not." Verse is followed by a dog, a basket, and 2 geometric designs over a geometric border and the signature and date. Additional elements include 2 ships, 2 birds, 2 dogs, a bowl of fruit, a tree, floral sprays, geometric designs, and the words "Chety." and Annie." lower section, surrounded by a wavy border. 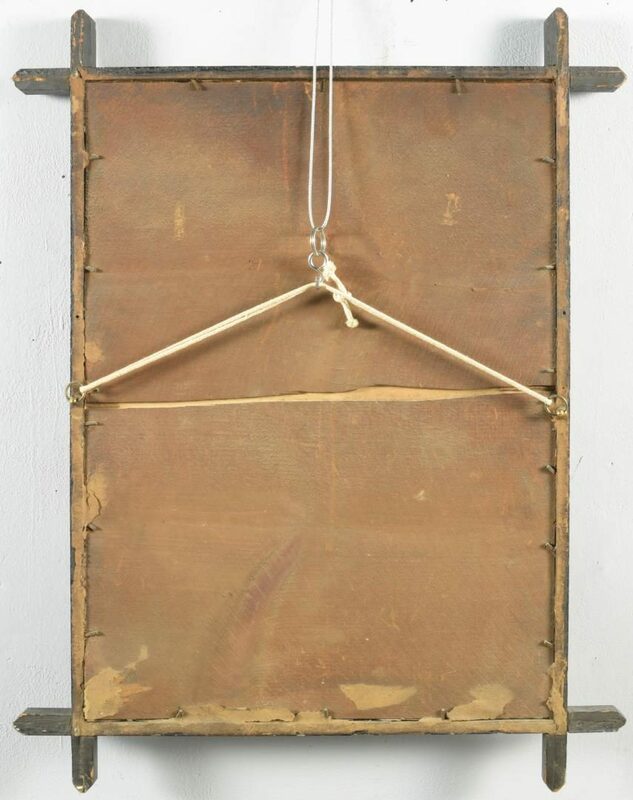 Housed in a wooden folk art style frame. 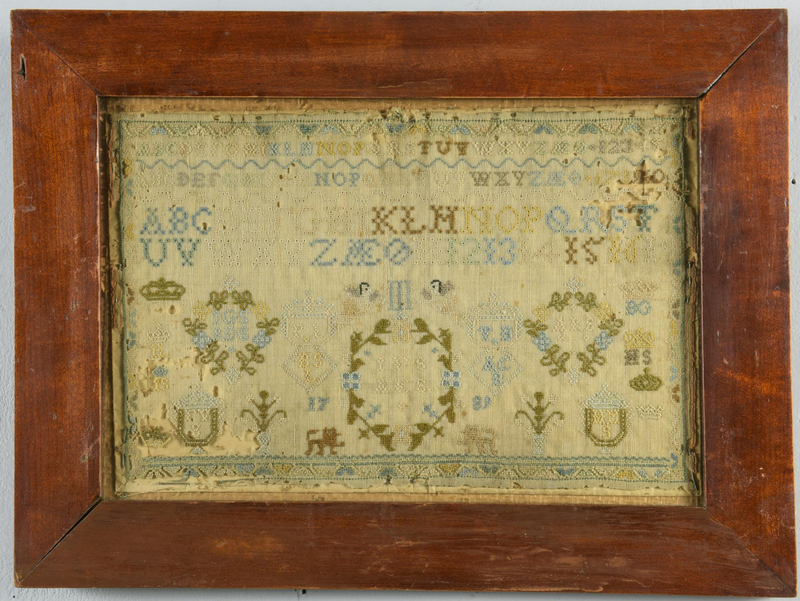 Sampler – 17" H x 12 3/8" W. Framed – 21 3/4" H x 17" W. Late 19th century. Provenance: Private Knoxville, TN collection. 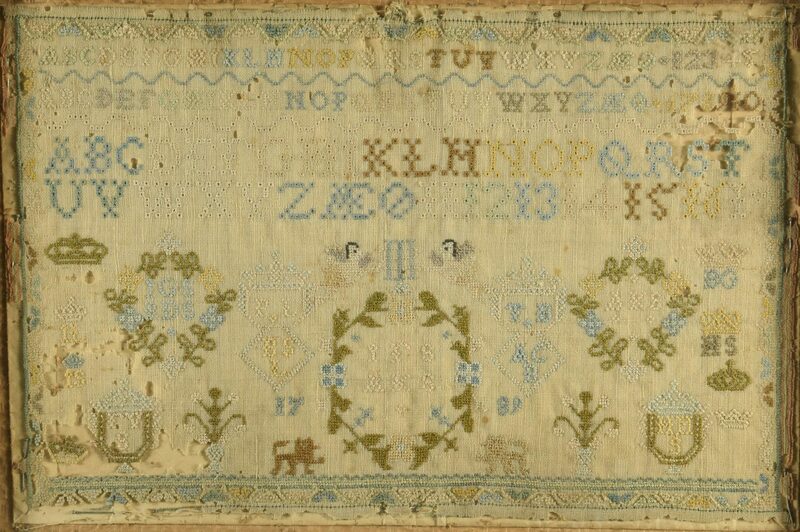 CONDITION: 1st item: Linen deterioration, primarily around top right, lower left, and border, possibly due to insect damage as evidenced by a 1/8" insect carcass, lower left. Minute foxing spots on surface of linen. 2nd item: Foxing on surface of linen. Metal decoration missing, top left corner of frame. 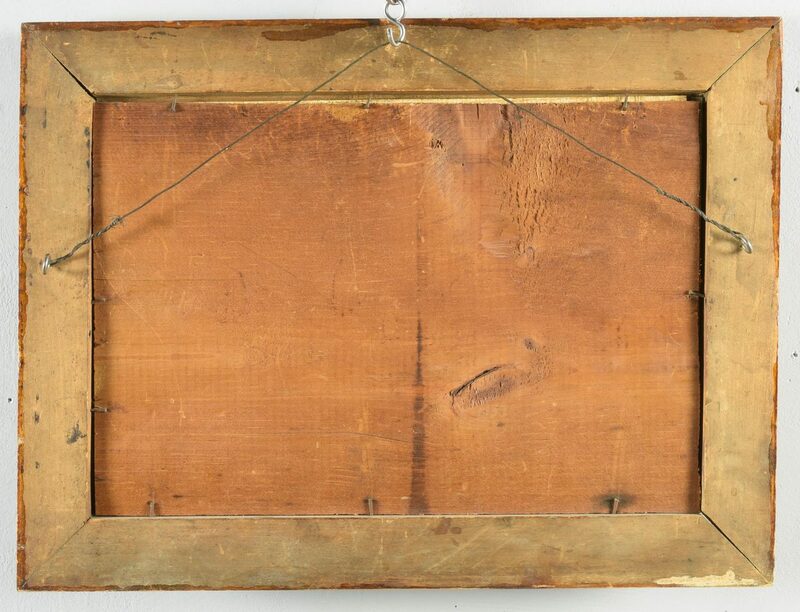 Wood chipped, 1 1/2" area, lower right corner of frame.